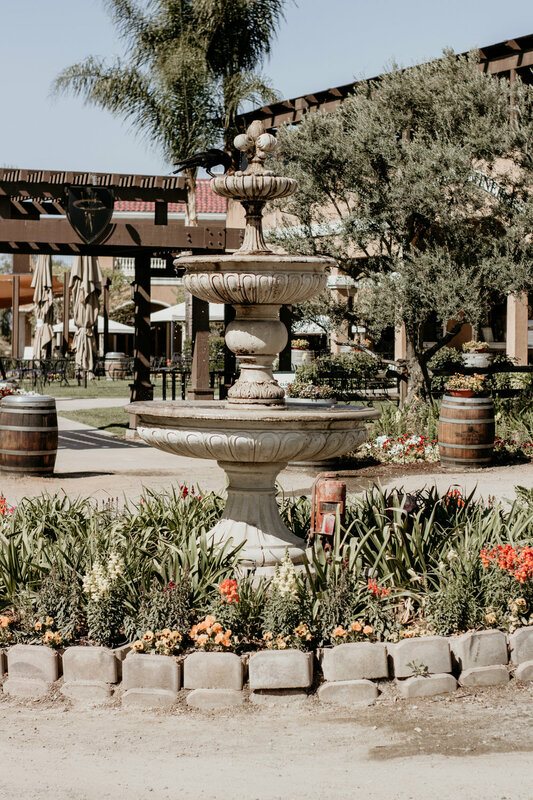 If you haven’t visited Temecula Wine Country you need to. The stunning beauty commands your attention and of course the wine isn’t bad either. 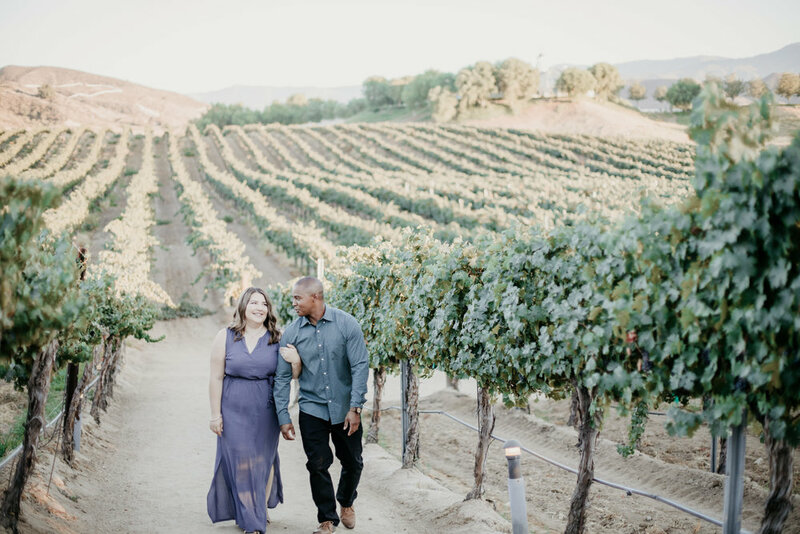 With so many beautiful places to get married in Temecula, Leoness Cellars is one of our favorites! 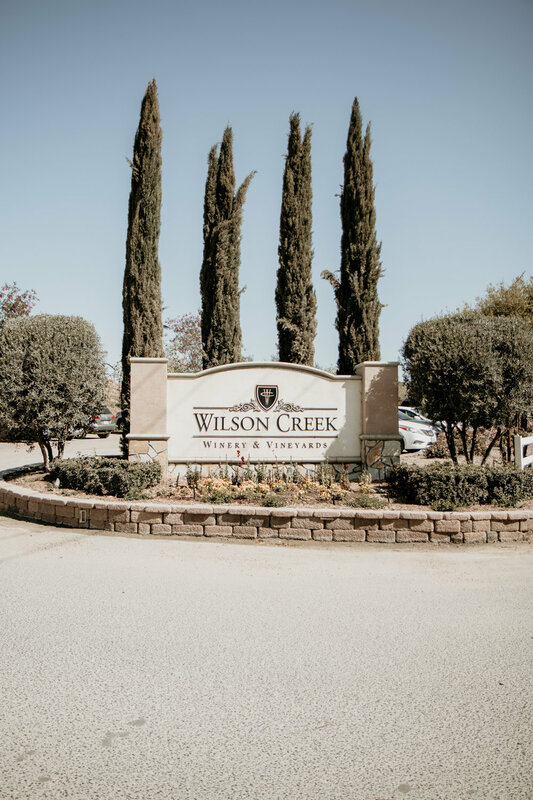 This winery was recently updated and added a wonderful restaurant which is a MUST if you’re in the area. 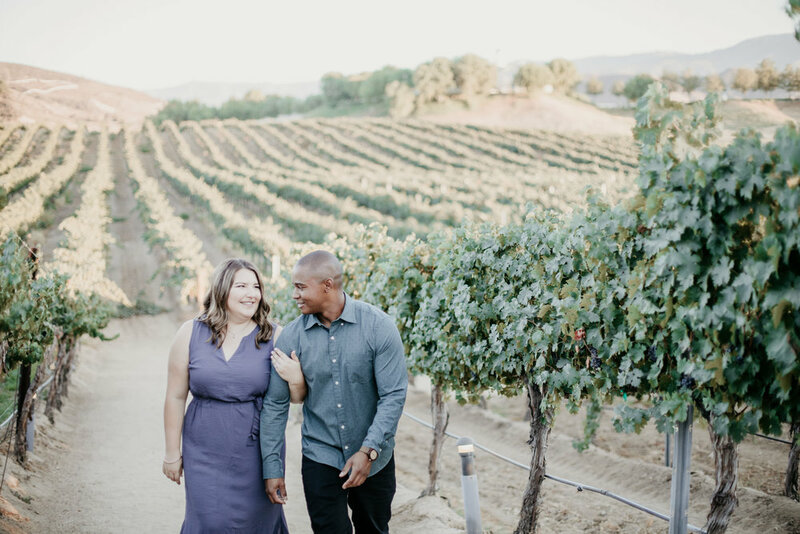 The stunning ceremony site overlooks the vineyard and is the perfect location to say “I do”. 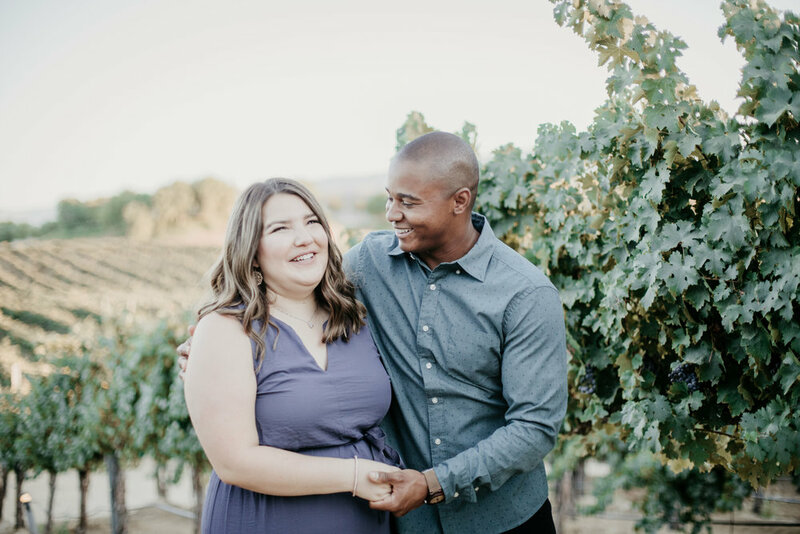 Since we clearly love this venue we were super excited to have the opportunity to photograph this couple’s engagement session at Leoness Cellars Winery. 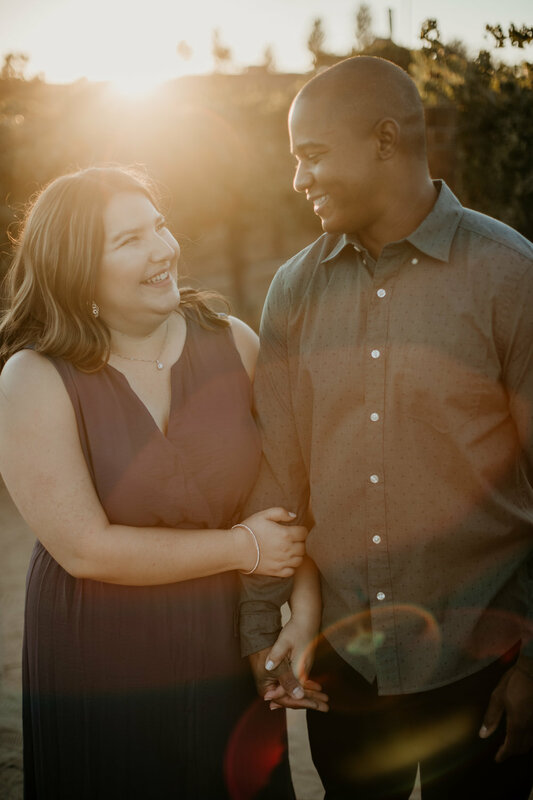 When you have AMAZING couples to work with life is so much more fun! 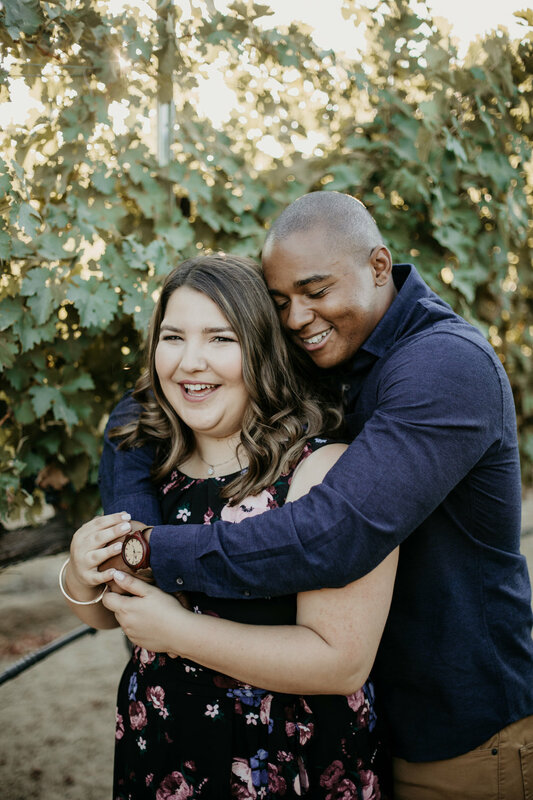 These two were a blast….we had lots of laughs and cuddly moments surrounded by the luscious grapevines which made my job much easier. 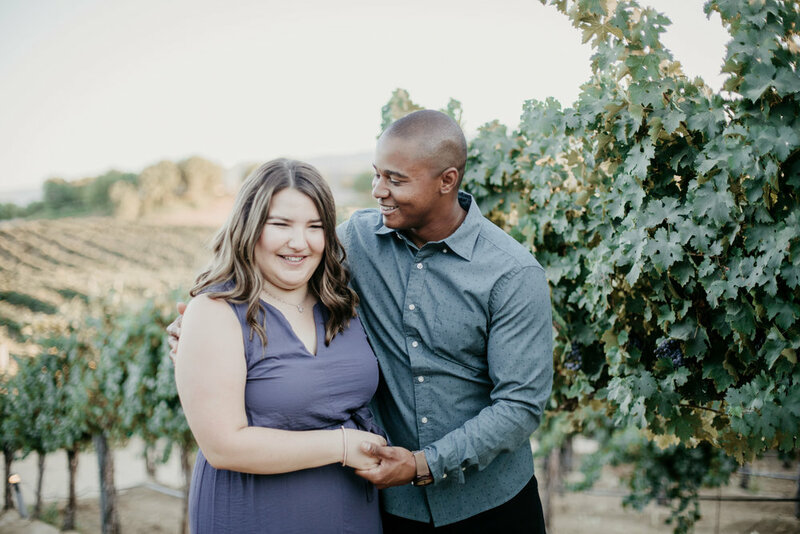 We truly cannot wait for these two to have their Leoness Cellars Winery Wedding in Temecula in November 2019!! 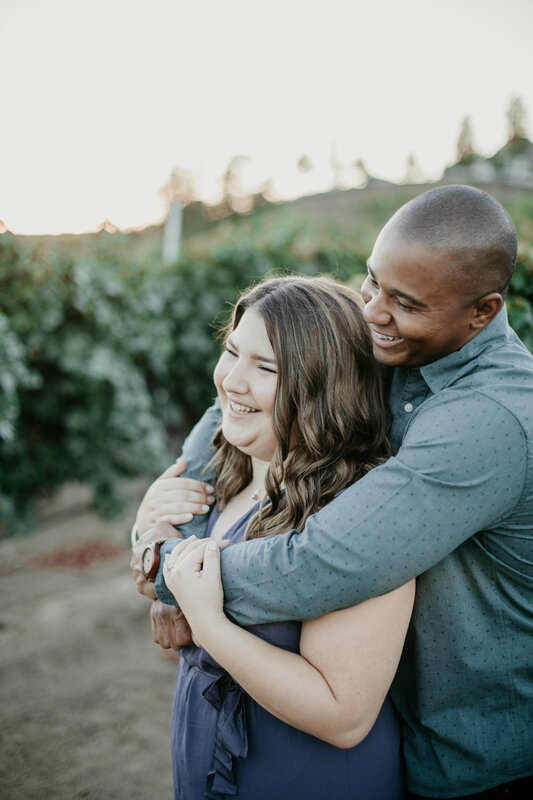 Please check out some of our favorites below from this engagement session. 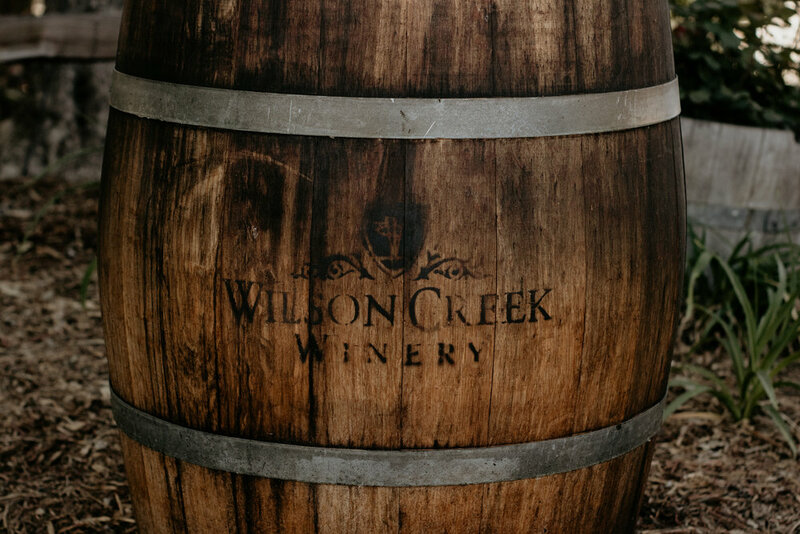 We LOVE when we have the privilege of photographing a wedding at Wilson Creek Winery. This wedding venue is absolutely stunning. 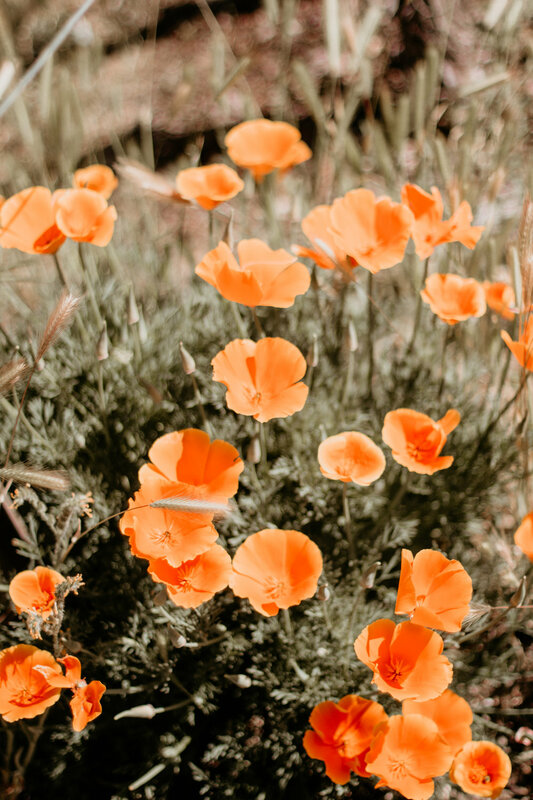 We always have nothing but the best experience here. The staff is so helpful and organized. 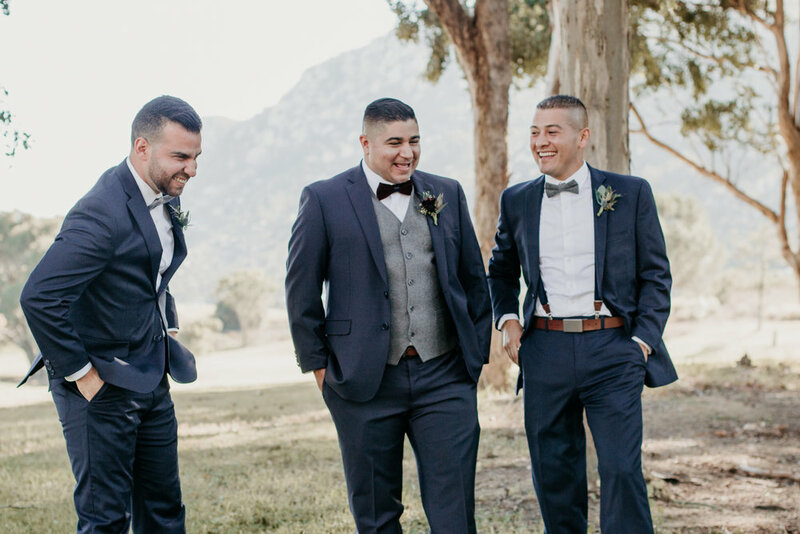 This wedding venue and their staff truly make being a wedding photographer a blast. 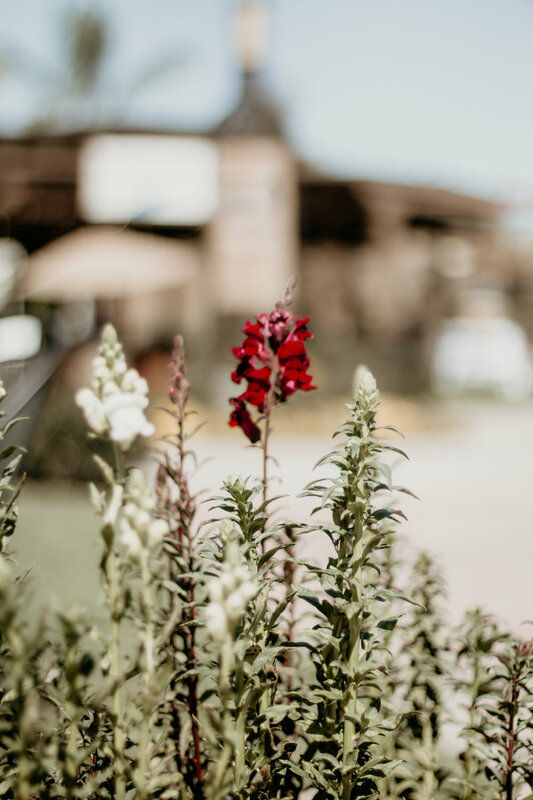 Most often then not our engaged couples have already chosen their wedding venue, before reserving our wedding photography services. 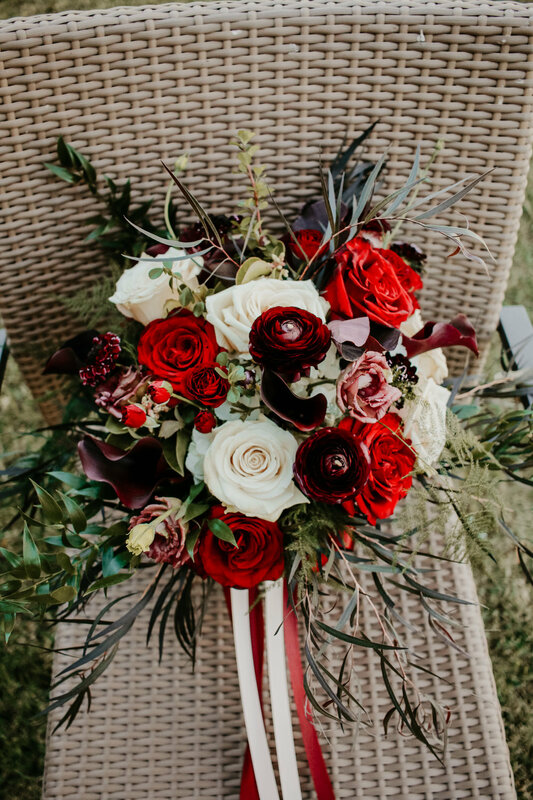 Brides have been dreaming about this day for years and the grooms generally don't care all that much where the wedding is located, as long as their bride is happy. :) This lovely couple seemed to of chosen everything together. The bride and groom found the venue together, picked the flowers together, the wedding cake, the food that would be served, etc. 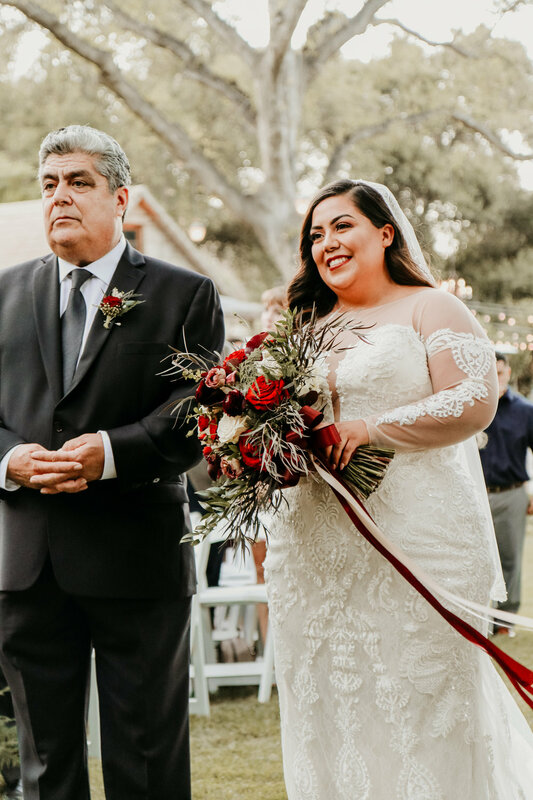 She did find her own wedding dress along with a beautiful cover up all at Davids Bridal. 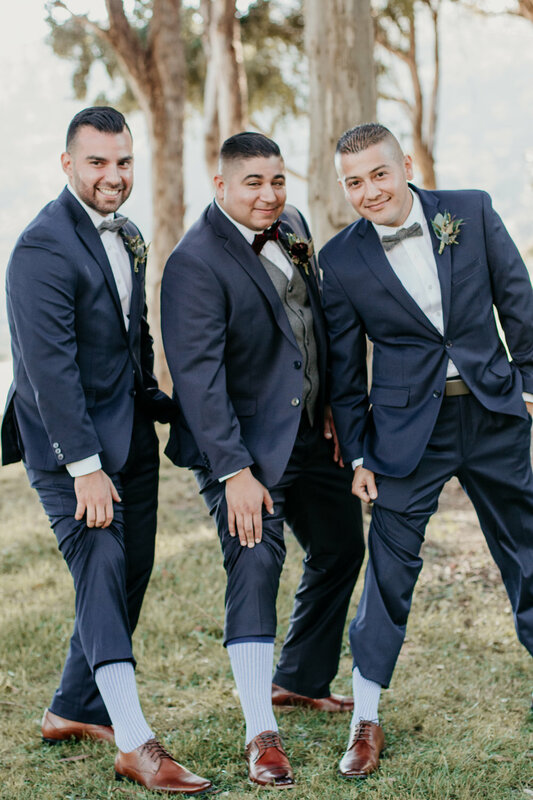 This bride also had some amazing "something blue" shoes by Steve Madden. We are loving the idea of a bride’s “something blue” being her fun and funky shoes. 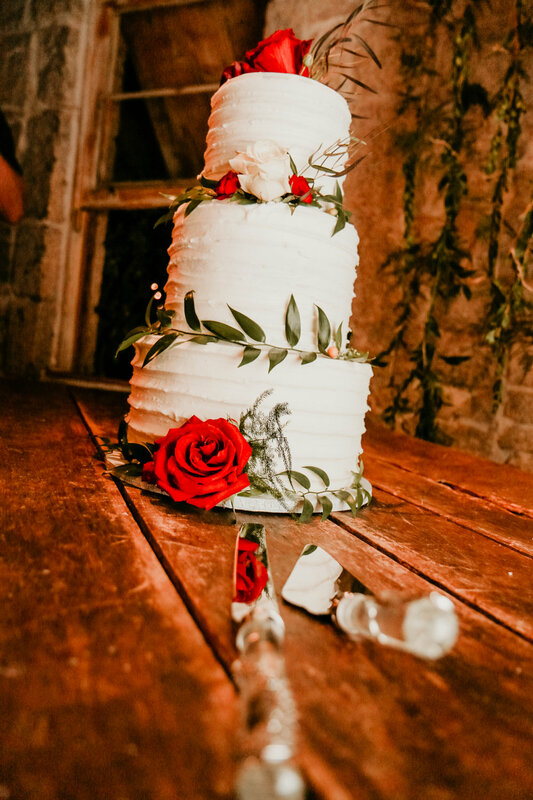 It truly is so much fun seeing what all of our bridal couples decide to use for decorations, venue. 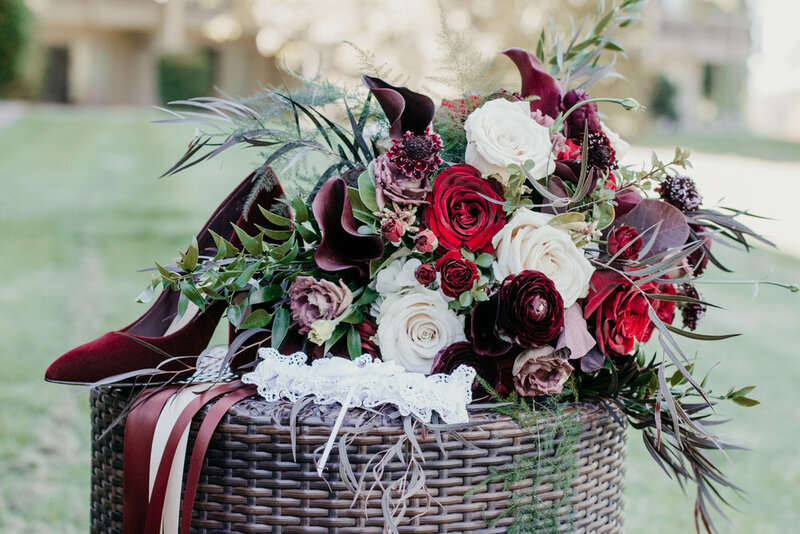 Even the look of the wedding can vary based on the style and personalities of a couple. 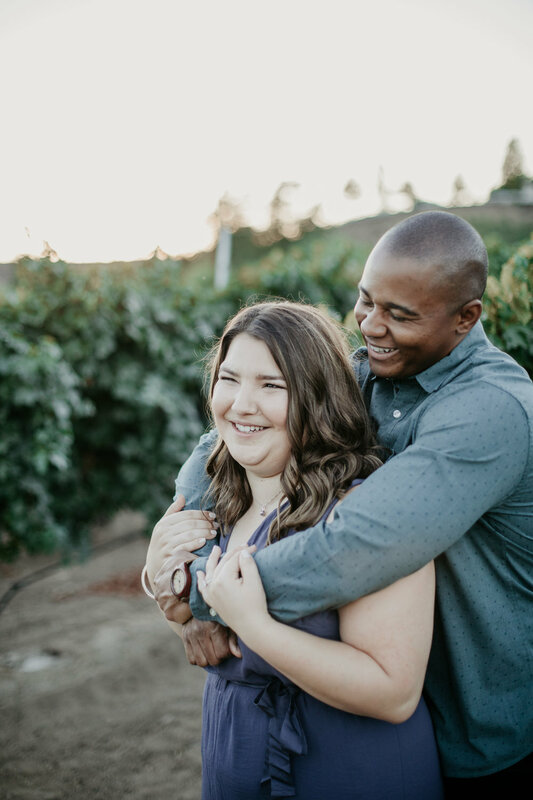 We are so pleased to congratulate this beautiful couple and wish them nothing but the best in all of their life adventures. 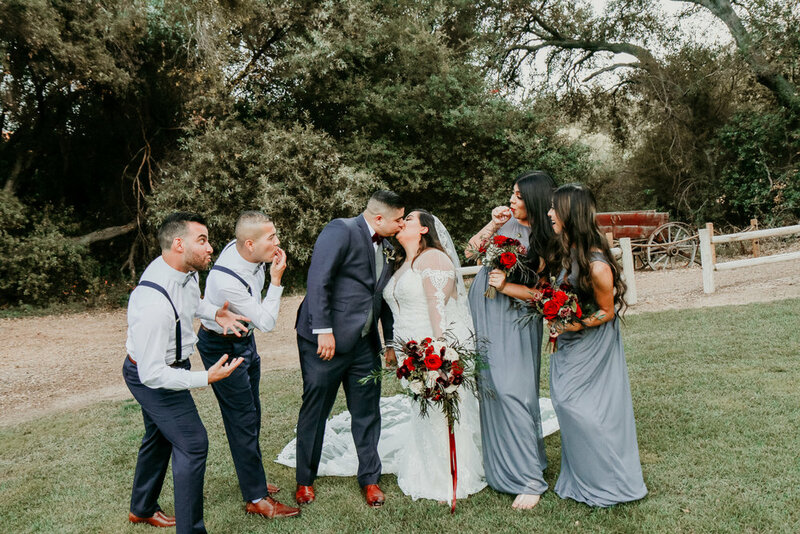 Thank you for letting us be your wedding photographer. 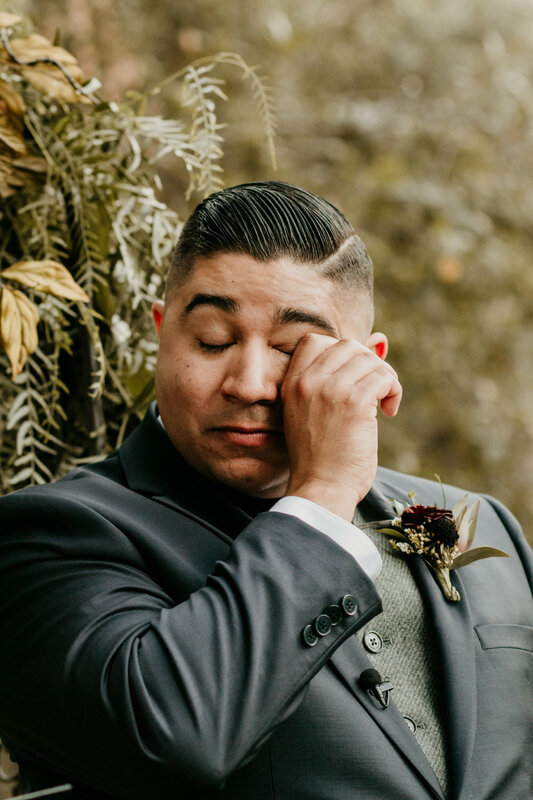 The amount of love and joy throughout this wedding day was astounding. 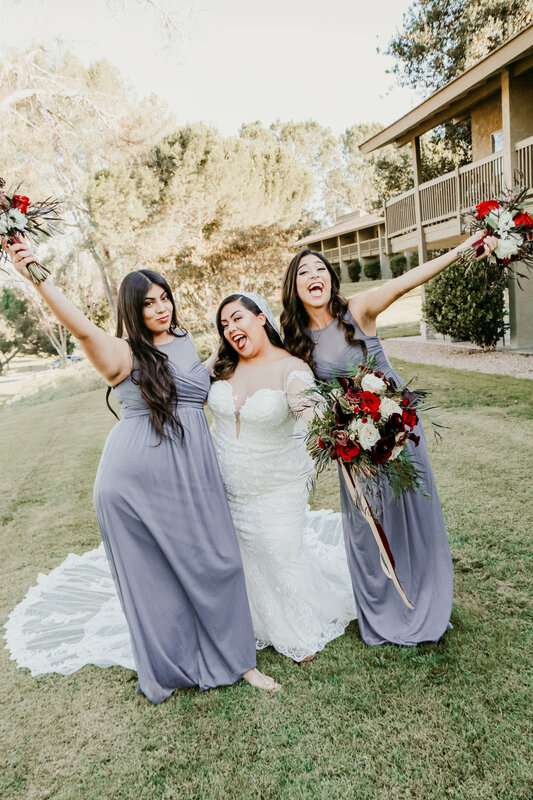 We were so happy that we got to take part in this fun loving couples wedding at Temecula Creek Inn. 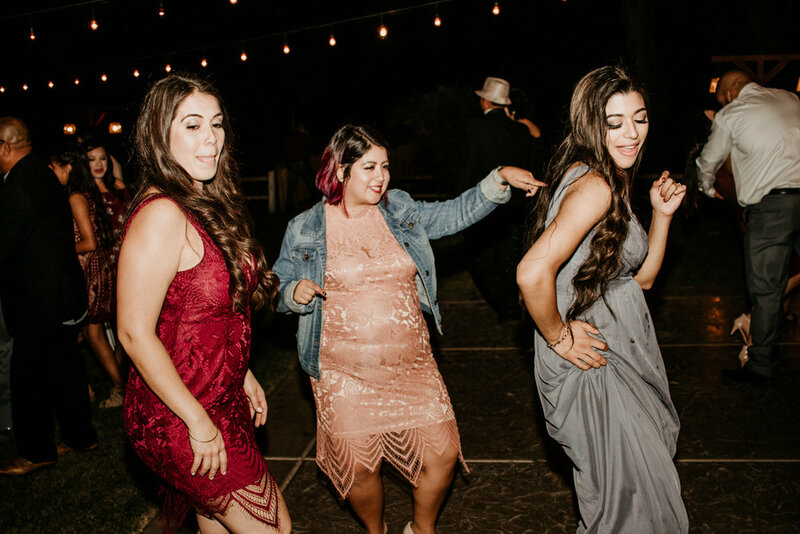 When we arrived at this bride's hotel room she was blasting music with her girls and we knew at that moment this was going to be a really fun wedding to photograph. 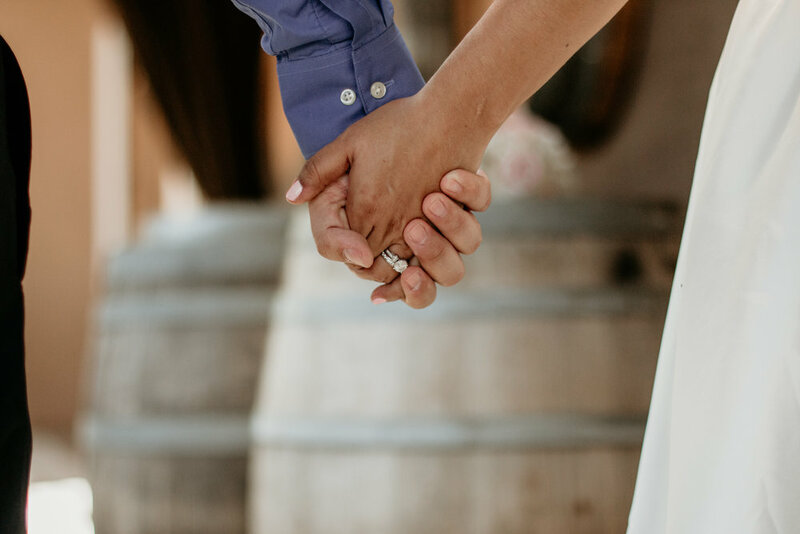 Our favorite weddings are when the bride and groom are just excited for the day with no stress. 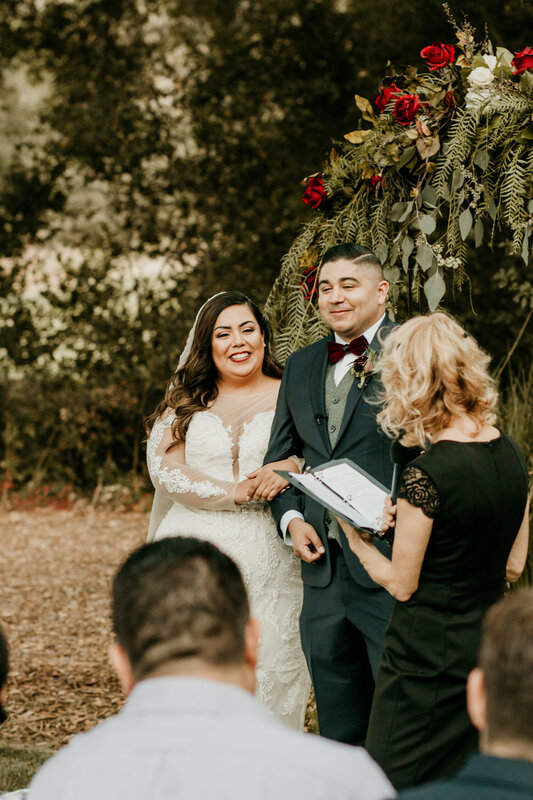 These two were nervous up until the first look; you could see the stress and tension disappear the moment they saw each other. 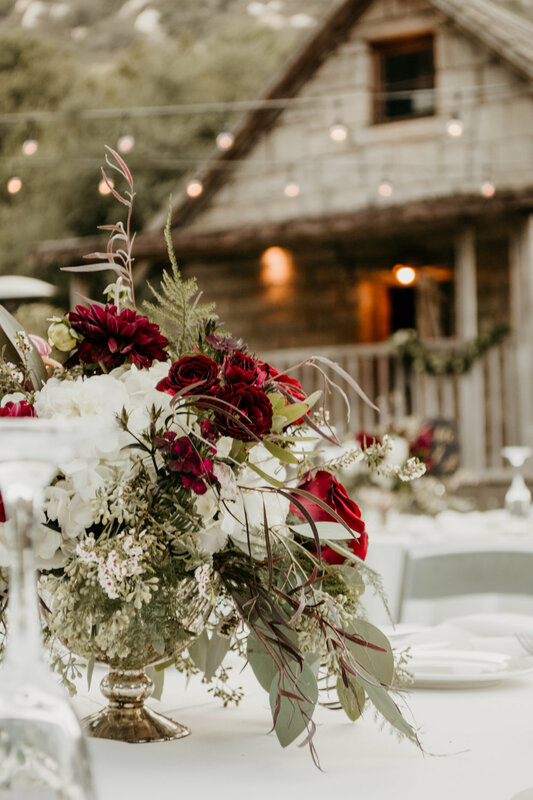 The rest of the day was a dream between the gorgeous ceremony to the reception. 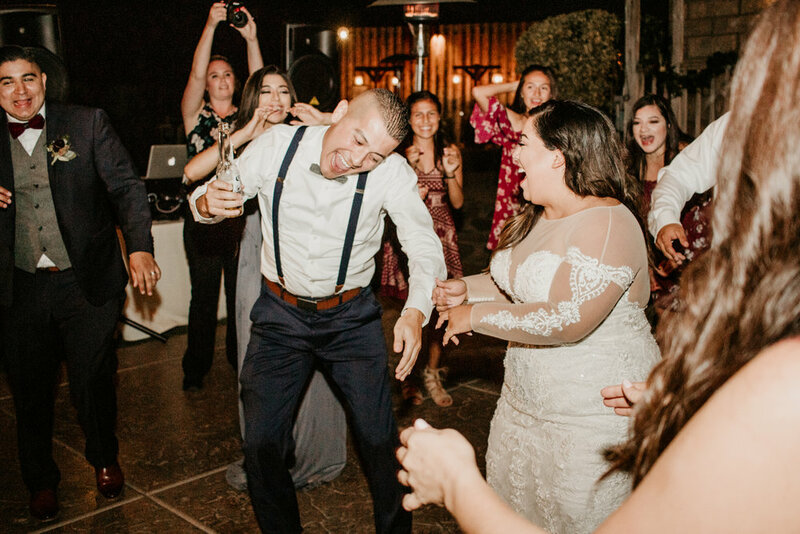 The music was bumping at this reception and we couldn't help but boogey a little ourselves to the fun beats. 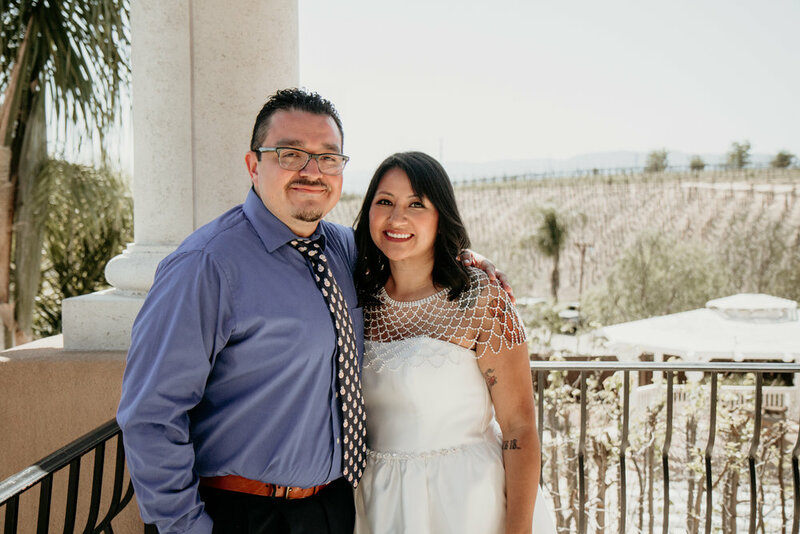 This bride and groom picked the most beautiful venue; Temecula Creek Inn is just stunning and the staff is so awesome and easy to work with. 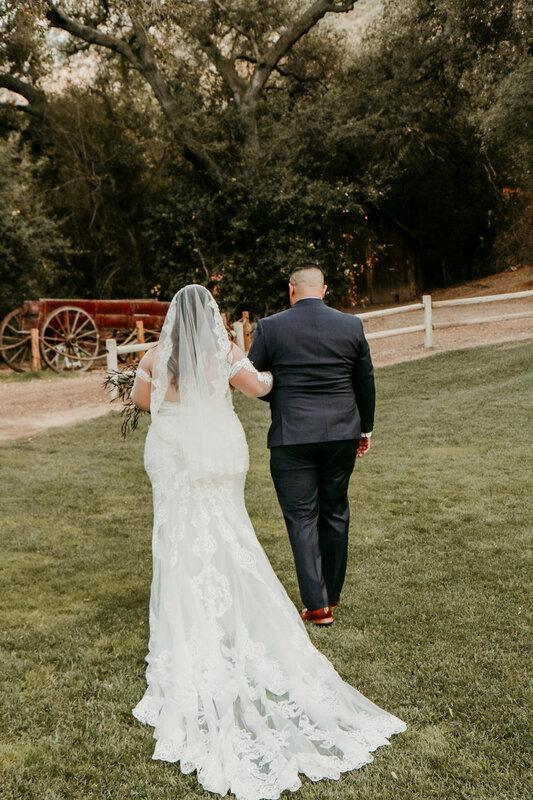 In wedding photography your job is to make the wedding look as gorgeous as it was and let us just say Temecula Creek Inn made our lives easy! 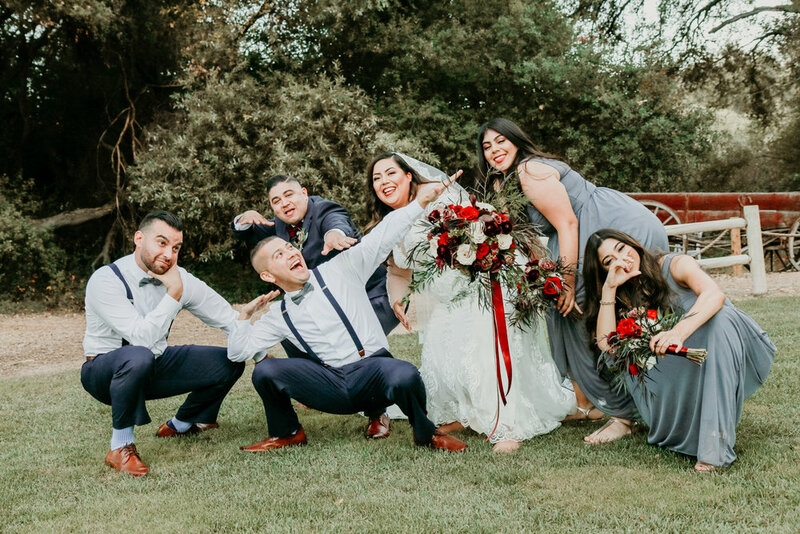 We honestly had the best vendor team at this wedding. 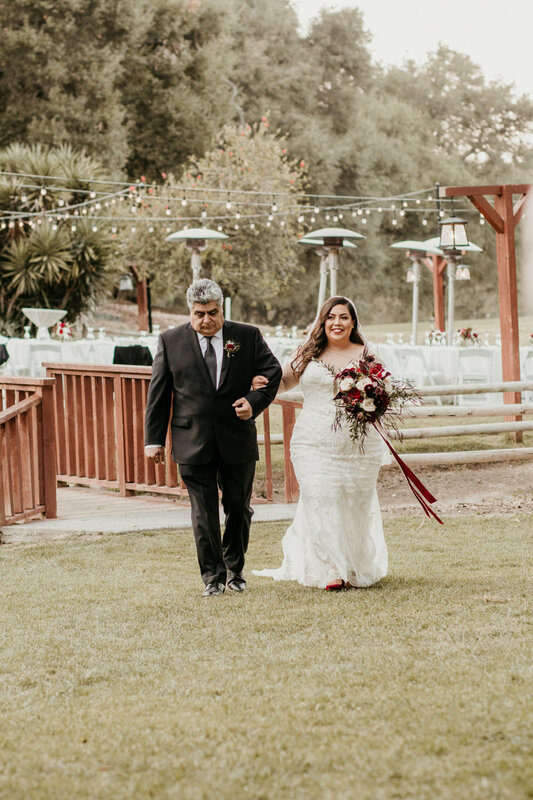 We had the pleasure of once again working with my truly talented husband Brian with Love is Cinema; every wedding with him always goes just that much smoother. 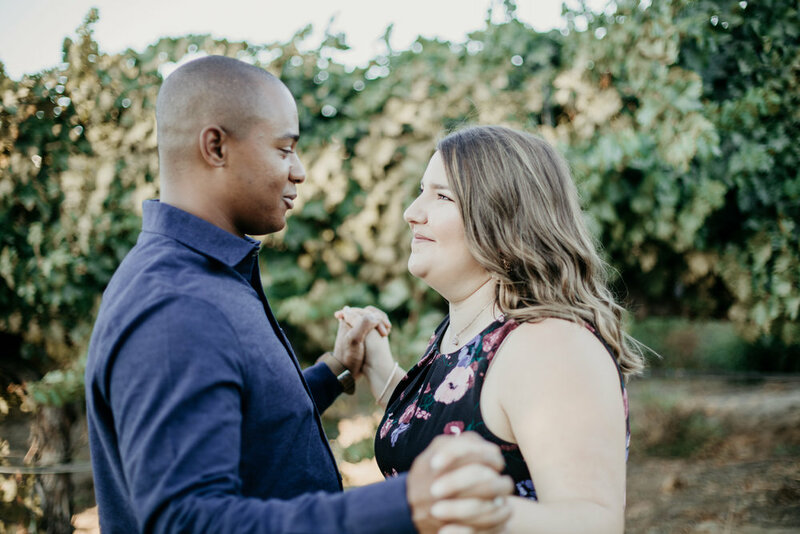 It really helps when your photographer and videographer have good chemistry together; it will make your wedding day go by even smoother. 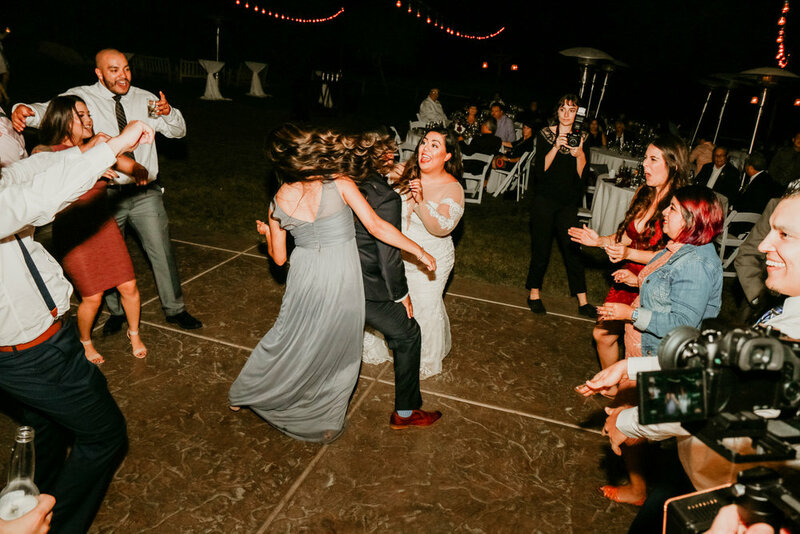 We also were lucky enough to work with Ian over at DJMC Ian B, talk about an awesome guy; he really made the reception a party....let's just say the dance floor was always full. 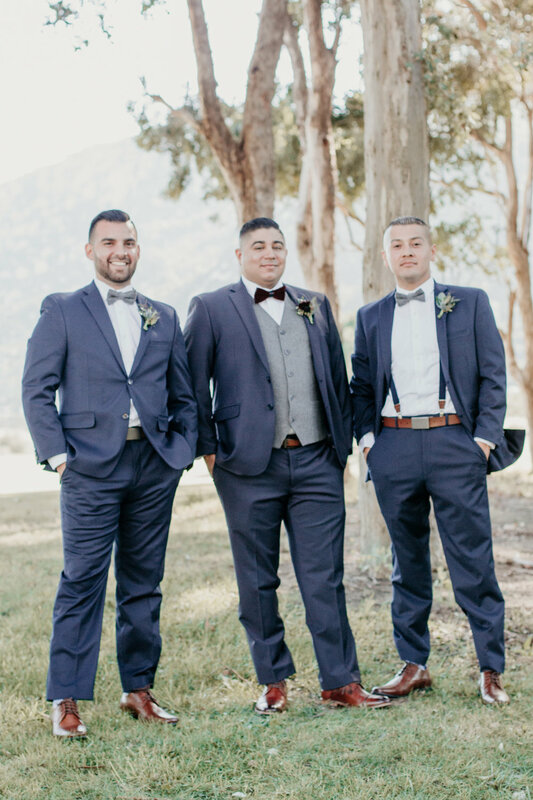 We are so happy we were able to be a part of this fantastic wedding.